If you like making your thick hair smooth, this shampoo is at risk of becoming one of your favorite treatments! Discover why you should definitely put it in your toiletries bag. For all lovers of smooth locks, particularly those with unruly hair. This treatment, enriched in silk and cottonseed oil, will make your life easier on a daily basis. 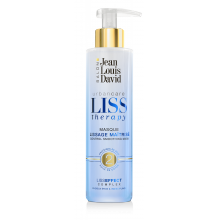 Made without parabens, it smooths the hair fiber for long lasting blow-drying effects. Once you've used it, it will bring out the softness of your hair and instantaneously boost its shine. It is also great for taming and eliminating frizz. Your hair therefore becomes supple and ultra-easy to style. Subsequently, you will be able to straighten out your wavy, curly or frizzy hair with ease. You'll fall for its silky and light texture. In addition, a small quantity of the product is enough to lather up your hair and clean it in the best possible way- a real advantage. You will become just as hooked on its addictive fragrance: in fact, its fresh and subtle scent will discreetly coat your locks, for hair which smells great for hours. Apply the Smoothing Anti-Frizz shampoo to damp hair two to three times a week maximum. One to five squirts of the product will be required to cover the entirety of your hair, depending on its length and thickness. Emulsify it, then proceed to massage your scalp to let the product sink in, activate micro-circulation and remove all debris which has built up over days. To do this, exert light pressure with the tips of your fingers using circular movements. Finally, rinse your hair thoroughly with clean water. How to boost its efficiency? 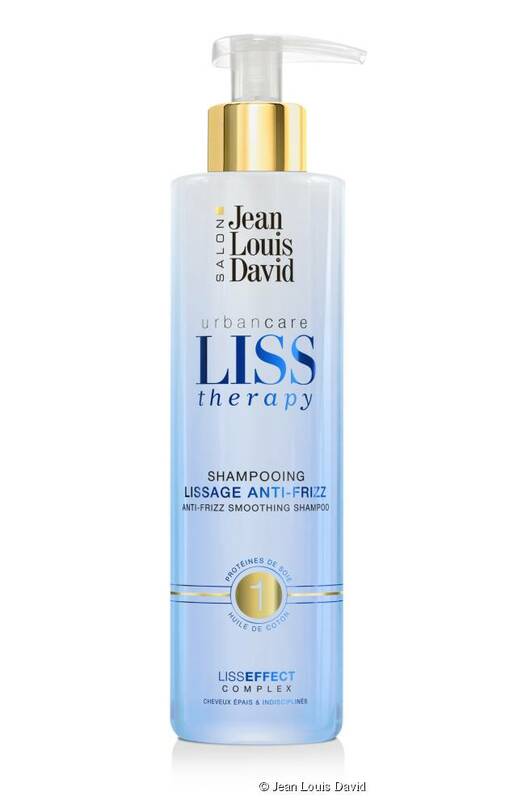 For smooth hair which is full of health, finish off your hair regime by using other treatments from the Liss Therapy range. Once a week, apply the Controlled Smoothing mask to damp hair for intense nutrition. Let it sink in for five minutes on fine hair and ten minutes on thick hair before rinsing. Finally, spray on Long Lasting Smoothing Milk Spray before styling your hair to protect it against heating devices, but also as a finishing touch to achieve ultra-glossy hair.